If you have mold in your home, office or other space, you are likely wondering what to do. Your first course of action should be reaching out to an experienced mold remediation team. However, you might not have any idea of how to interact with the mold experts as mold is not the type of problem people address with regularity. Let’s take a look at a few important questions to ask mold remediation specialists. Can you explain the difference between your mold remediation service and mold removal services? Indeed, these two terms certainly sound alike yet they are different. The mold remediation crew should be quick to explain mold remediation is based on actions that move mold levels back to regular levels. Mold remediation does not eliminate all the mold. Rather, remediation zeroes in on specific spaces that are rife with mold, eliminate it and improves the safety of your living or working space. If there is an abundance of mold in the home, office or other space, mold removal will be necessary. Low levels of mold do not require removal yet mold that builds up to the point that it is dangerous to human health should be removed right away. We will perform an inspection for mold, determine if mold is in your home, gauge the level of exposure and perform a removal if necessary. Why should I be worried about mold growth? If any portion of your home has been exposed to water, there is likely mold growing in the affected areas. The question is how much mold is growing, how fast it is growing and whether it is dangerous. Mold is a threat to your health as well as the structural integrity of your building. If mold remains in your home, you might endure an allergic reaction or fall ill. When and why is professional mold remediation necessary? If the mold remediation crew cannot prove its worth with an accurate response, move on to the next candidate. In general, a mold problem space should be tended to by the professionals if it is 10 square feet or larger. Any mold stemming from a flood, leak or other water exposure should also prompt the assistance of the proven experts. If the crew convincingly explains the merits of its services, you should not be even slightly tempted to perform a DIY remediation effort. How does your mold remediation process work? The mold restoration crew should answer this question in layman’s terms. The typical process starts with identifying the underlying cause of the mold issue. Areas, where mold has accumulated, are pinpointed. The mold levels are then brought back to safe levels. Mold remediation has the potential to get rid of harmful and even toxic elements. Once the type of mold growing is identified, the crew will find it is that much easier to determine the perfect approach for remediation. Why should I opt for your mold remediation services? The best mold remediation crews are quick to point out the many risks posed by mold that is allowed to accumulate in a living or working space. Mold is small, odorless and visually insignificant. However, this diminutive substance has the potential to upend your life. Mold can diminish your health as well as the well-being of family members and pets. It takes merely two days for mold to move through a building. Mold infiltrates the air everyone breathes, triggering allergic reactions and makes it that much more difficult for those with respiratory challenges to breathe. 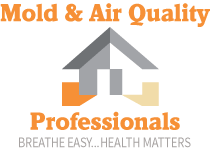 If you are curious about mold remediation in your home, contact the experts at Mold & Air Quality Professionals.